Diamondback Tactical is the industry leader in professional-grade ballistic armor, carriers and hard armor shields. The trusted choice for America’s elite law enforcement and military operators, and for those who need ballistic protection for personal or professional use. Our NIJ-certified body armor provides the highest level of reliability, fit and performance, giving you the confidence and protection to come home safe, every time. 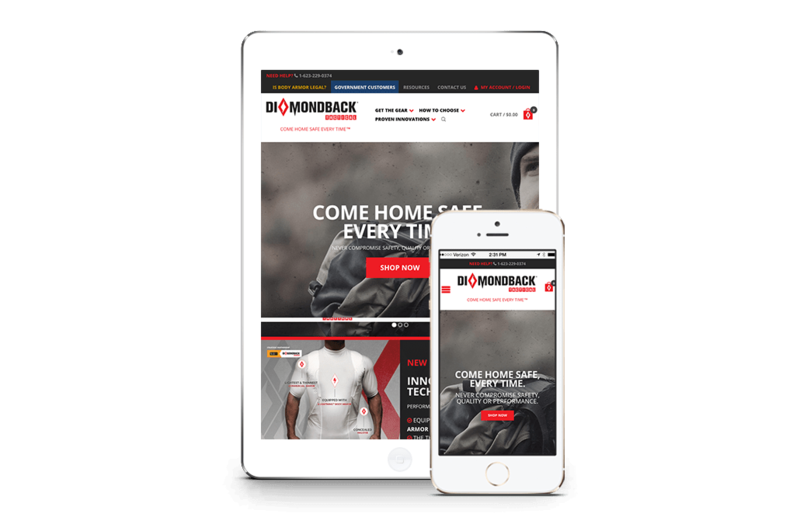 When Diamondback Tactical decided to establish its own direct sales channel, it hired the Borenstein Group to develop a digital strategy and an e-commerce store for its innovative product line. 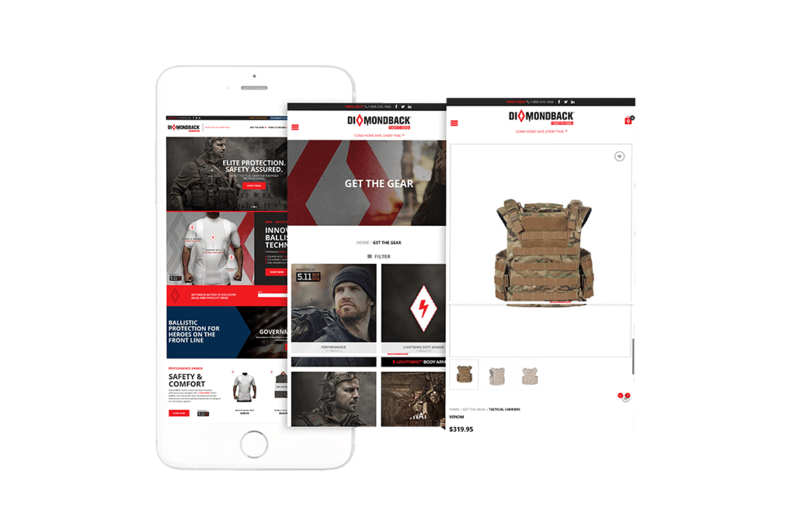 Borenstein Group partnered with Diamondback Tactical to help it shed its former utilitarian manufacturing look and replace with a modernized User-Interface (UI) and a highly polished e-commerce store that enhanced the total User-Experience (UX). Leveraging Borenstein Group’s creative team, Diamondback Tactical received not only a new compelling brand image but a fresh new branding tagline “Come Home Safe. Every Time.” Custom tailored words to evoke an instant connection to its target audience of trusted law enforcement professionals such as first responders, police officers, and security guards in need of protection. Highlighting Diamondback’s innovative light-armor technology helped command a new appeal to a new generation of buyers that was not aware of the company’s legacy of excellence in the armor industry. Highlighting Diamondback’s highest standards in manufacturing that are “Made in the USA” helped seal the deal on delivering this ballistics manufacturing leader’s competitive market proposition when it comes to its high-quality standards. 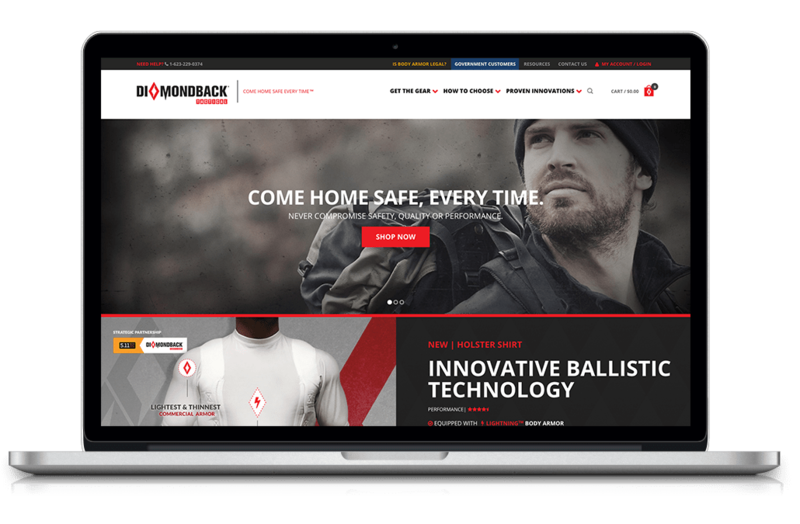 With newly polished brand image and full e-commerce capabilities, Diamondback Tactical has been able to expand its international market reach to multiple law enforcement and military buyers. 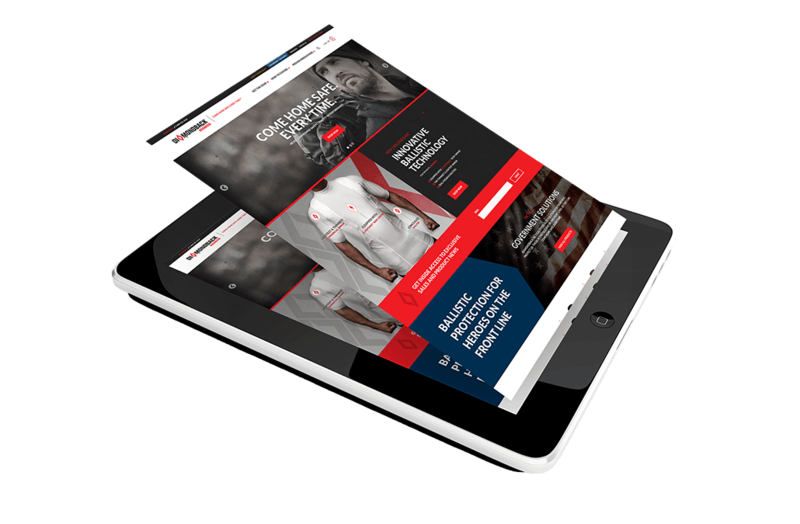 Its ‘digital storefront’ now promotes high-quality manufacturing that is “Made in The USA” and meets the Department of Justice’s highest and strictest guidelines for ballistic armor protection. The distinctive brand differentiation from other competitors, which offered inferior quality products, has strategically positioned Diamondback Tactical as the go-to leader for ballistic protection that helps security professionals protect themselves.